Oooh, so excited to share this cool idea. 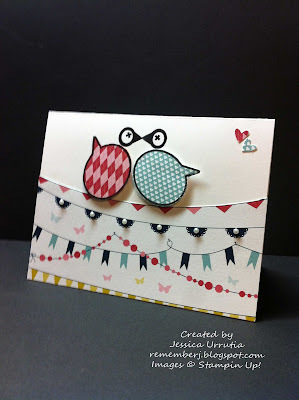 In the "Get Inspired" blog they through a challenge using the Designer Typeset. Long story short I got so creative with my stamps I forgot the challenge was a COLOR challenge. Oops! Needless to say I did not enter the challenge. Lol! Forgot the colors. But check this out! Uuuuh, tan emocionada de compartirles esta idea. En el blog "Get Inspired"tiraron un reto usando el set de sellos Designer Typeset. Larga historia corta, me puese tan creativa que se me olvido que era un reto de COLORES. Ups! Ni decirle que jamas entre mi muestra al reto. Que risa! Se me olvido usar esos colores. Mas mire con lo que sali! 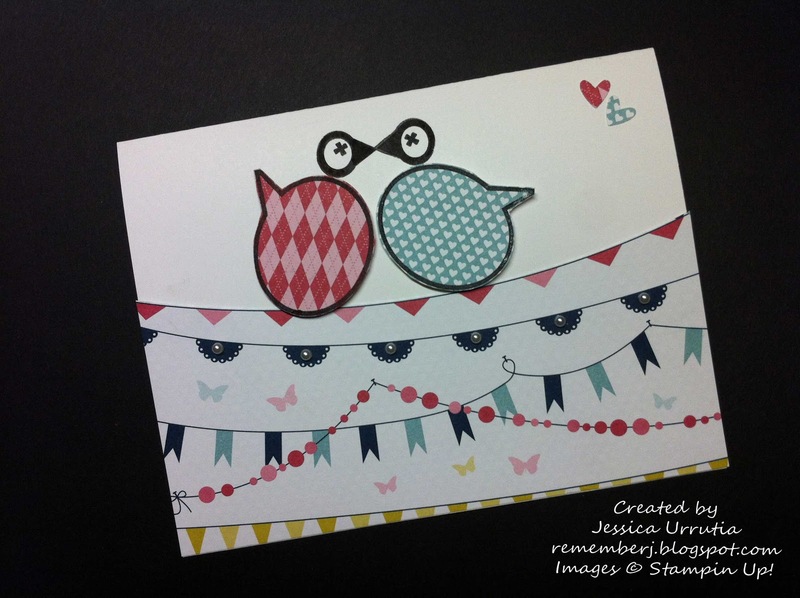 photopolimer set from Stampin'Up! Vaya a verlo! Use la burbujita de conversacion para el cuerpecito de mis pajaritos y el diseno de la "flecha"
para sus cabecitas. La x para los ojitos. Todo incluido en el set de sellos Designer Typeset. 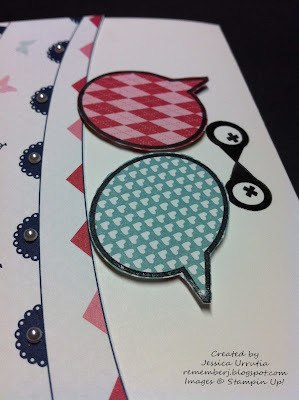 El primer set sellos transparentes de Stampin'Up! Check it out! I will show you more ideas with this set this week...I made another cute project! Now see what was that inspired me...Im loving all the possibilites with this set. Le voy a mostrar aun mas con este set esta semana...hice otro proyectito bien chulo! Ahora vea que fue lo que me inspiro. Me encantan todas las posibilidades con este set. As a Concept Art team, we thought it would be fun to offer a color challenge. If you’d like to participate, here’s how! Traduccion: Como un equipo de Concepto del Arte , pensamos seria divertido ofrecer un reto de colores. Si quiere participar aqui esta! 2) After you've completed your project, scan it or take a picture, then upload the file to your blog or in an online gallery. We want to see all of your creative projects! 2) Luego que complete su proyecto, scaneelo o tomele una foto y subala a su blog o a una galeria en linea. We thought we’d get you started with some fun ideas. Here are six projects we made using the color combo challenge—Basic Gray, Calypso Coral, Lucky Limeade, and Pool Party—as well as some ideas using the new Designer Typeset Photopolymer Stamp Set. We love this set! 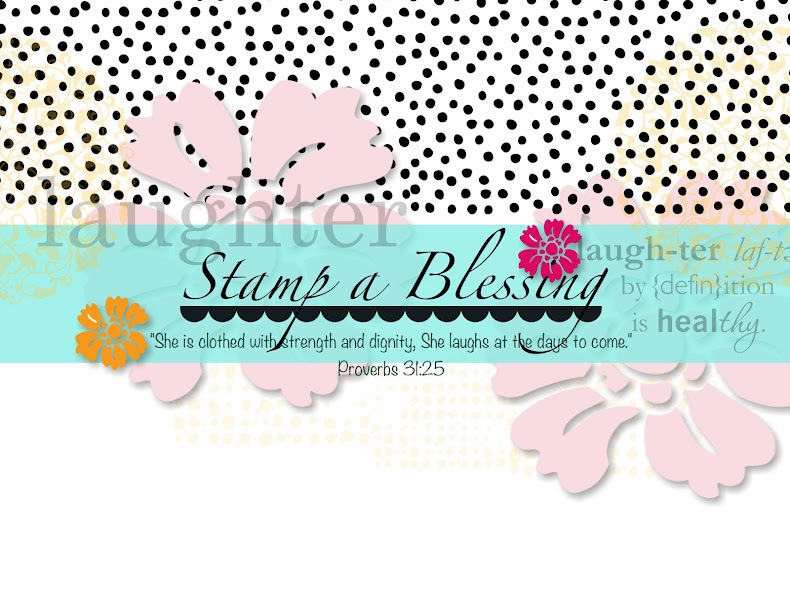 It is so easy to stamp (with no ma-jigging!) and it offers so much versatility. How many backgrounds can you come up with? Have you put a bend in the banner or an arrow yet? Pensamos que le gustaria comenzar con algunas ideas. Aqui hay 6 proyectos que hicimos usando el combo de colores, tambien ideas con el set de sellos Designer Typeset...ofrece tanta versatilidad. Cuantos fondos puede craer con el? Ya le dio una dobladita a una flecha o banderin? Si aun no tiene este sello, aun tiene tiempo de conseguirlo. Solo esta disponible hasta que se acaben. Que ideas mas lindas verdad!? 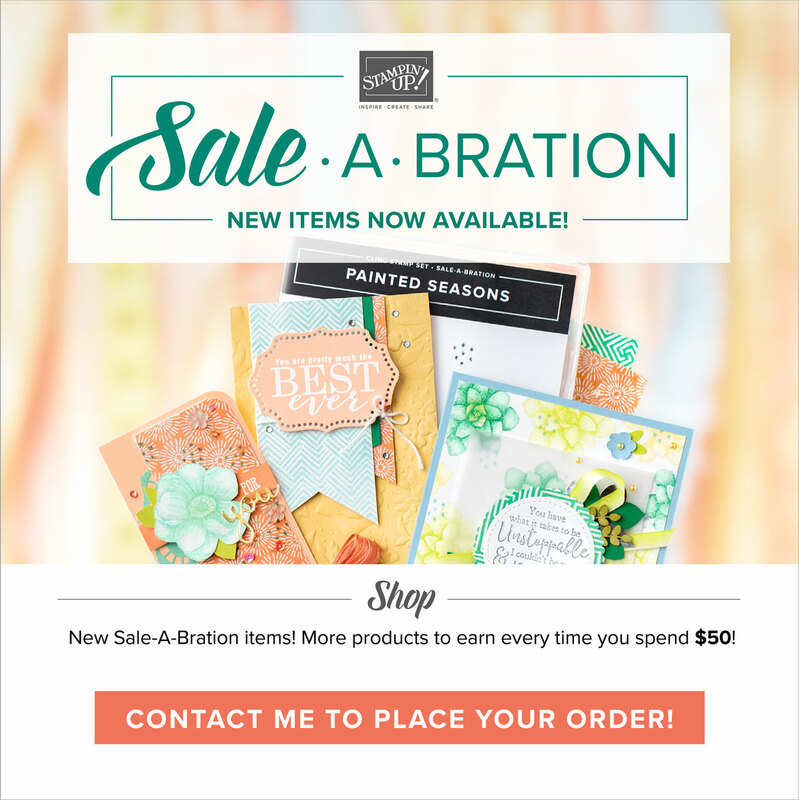 If you wanna see the latest promotions from Stampin'Up! Click HERE! Para ver las promociones mas recientes de Stampin'Up! Vaya AQUI! To go check the exciting new downloads for MDS (My Digital Studio) click HERE! Para ver las nuevas descargas para el programa de Mi Estudio Digital vaya AQUI! To subscribe to Paper Pumpkin go to www.mypaperpumpkin.com and find me as Jessica Cruz de Urrutia Zipcode 79423 Then send me a little message to send you a package of Baker's Twine the color of your choice. Available only until April 10th! 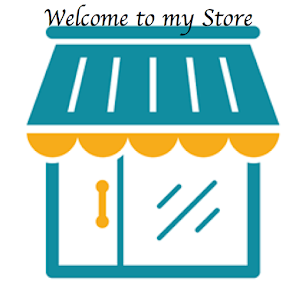 Para subscribirse a mi Paper Pumpkin vaya a www.mypaperpumpkin.com y halleme como Jessica Cruz de Urrutia Zipcode 79423. Luego envieme un mensajito para enviarle su nuevo Baker's Twine en el color de su preferencia. Disponible solo hasta el 10 de abril!